Bianca Umali-Ruru Madrid Romance That Surprised People: Will It Help Boost Or Break Their Respective Careers? WILL THE BIANCA UMALI-Ruru Madrid romance help in boosting their respective careers forward? They really surprised a lot of people as their romance seems to suddenly come from nowhere. 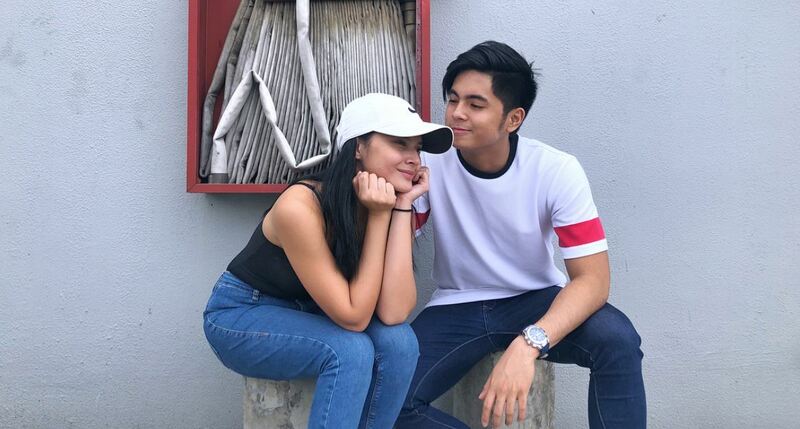 This is because it’s common knowledge that Bianca is being built up with her ka-love team, Miguel Tanfelix, while Ruru, after being separated from Gabbi Garcia, got linked to the likes of Maureen Wroblewitz and Valeen Montenegro. After going on a trip to Japan, they were next seen together having a vacation in the island of Siargao. Their photos together posted on social media surely cannot lie. In Japan, they were with Ruru’s family while in Siargao, they were with Bianca’s family. This means that their respective families approve of their relationship. But how about GMA Network? Does the Bianca-Ruru romance have the blessings of the Kapuso management? It’s said that Bianca and Miguel have broken up, but they haven’t really admitted being officially on. They started as child stars and became a love team four years ago. Now, even if Bianca is linked to Ruru, they remain to be a love team in the eyes of the BiGuel fans. Miguel remains silent about the sightings of Bianca and Ruru together. In his last posting on social media, he just announced that he has put up his own business with his own mother as his associate, a tea shop for what he calls an original Pinoy milk tea and a nail salon managed by his mom. He doesn’t make mention of Bianca at all despite rumors of her going out with Ruru. As for Ruru, he’s being bashed now by the fans of the BiGuel love team, calling him a snatcher of someone else’s girlfriend and ka-love team. Someone said Ruru really got hit by Bianca’s deadly charms after they met in “Sunday Pinasaya”, where he also met Valeen who’s also been linked to him before. He allegedly pursued Bianca quietly who, at some point, was disillusioned by Miguel. Both Bianca and Ruru are two of the most promising young stars of the Kapuso network. Let’s see if their romance will be beneficial or poisonous to their respective careers now that some quarters seem to frown on it.